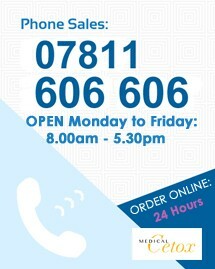 We endeavour to process and dispatch your order on the same day it's placed. It is advised that you place your order before 2pm. All packages (UK) are sent using Royal Mail standard first class delivery. Your items will be well packaged and protected. You have up to 28 days to return an item. You must contact customer services via email or telephone before sending any items back, to make sure they're aware of your issue. For hygiene reasons, pierced items or items which have been opened or used, cannot be returned. Singular Cocaine (COC) Rapid Urine Strip Test. Singular Cannabis (THC) Rapid Urine Strip Test. Singular Cannabis (THC) Rapid Urine Cassette Test. Singular Ketamine (KET) Rapid Urine Strip Test.